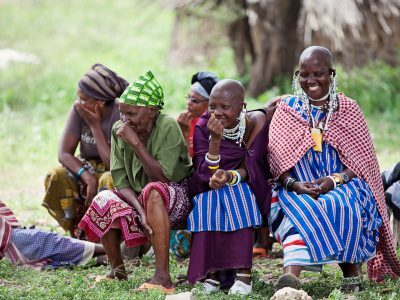 Women and girls in marginalised African communities enjoy equal status and are empowered to achieve their potential. We take a rights-based approach to development, with the aim of achieving a positive transformation of power relations among the various development actors. The goal of this approach is to increase the capacity of duty bearers (for example, government officials and clan leaders) and rights holders (our beneficiaries), who need to ask what they should do to help promote and defend their freedom. The empowerment of women and girls to make decisions and have control over their own lives is at the heart of all we do. It emphasises African Initiatives’ focus on empowerment, equality and the need to address power imbalances clearly contributing to our overall vision. Our core values are equality, empowerment, partnerships, accountability, innovation and learning. We believe all people should have equal rights and the same opportunities in life, and be free from discrimination. By collaborating and partnering with other organisations and institutions, we believe we can achieve the greatest impact, reach and sustainability. We are accountable to everyone we work with – project beneficiaries (individuals and community groups), our partners, supporters and donors. At African Initiatives, we value reflection, monitoring and evaluation, and we aim to embed innovation and learning in all we do to be the most effective we can in our mission to change more lives in northern Tanzania for the better.